So long to expensive bulky marketing tools! Grab the new Evergreen Countdown, Star Rating, Reviews and Sitemap, 4 different widgets to supercharge your marketing workflow. Today’s release is all about improving your marketing efforts. Headlining our new features – is Elementor Pro’s revamped Evergreen Countdown Timer. Many marketers have adopted Elementor as their main tool for managing landing pages, webinars, funnels, affiliate sites and other marketing related assets. We got a lot of feedback from them on our countdown timer widget. They wanted a broader solution to help them create a sense of urgency and scarcity in their sales pages. Taking this feedback into account, we considerably extended our timer, made it evergreen, and added a lot of useful functionality. What is the Evergreen Countdown Timer? The Countdown widget is a long-standing widget that was created to increase urgency when promoting sales, events or other time-limited offers. Our own team uses it during our seasonal sales. Making the countdown timer evergreen means all visitors get the same time frame, regardless of when they enter the page. Let’s say you want to promote your new online course. You send an email to your subscribers, telling them about your offer. Naturally, you want each visitor, no matter when they visit your site, to always see the same time limit of two hours, even if they open it a month after you send the email. User A visits the page today, she sees a countdown of 2 hours. User B visits two weeks later, he still sees a countdown of 2 hours. Once the visitor lands on the page with the countdown, a cookie is set in her browser. The next time the same visitor lands on the page, the timer will continue from the time the visitor first landed on the page. What Happens When the Countdown Ends? Another issue with countdowns is what happens when the countdown ends. With this version, you can easily set a custom action that comes into play once the timer reaches zero. This way, you don’t have to revisit and update your sales pages, and can run different automated sales and conversion funnels. If you want your visitors to convert after the sale ends, simply hide the timer from the page. Prefer to get them ready for a future sale? Redirect them to a dedicated landing page or show them a custom message. Marketers Rejoice Over the New Marketing Widgets by #elementor. This widget has been added to the core version of Elementor, making it available for every user. 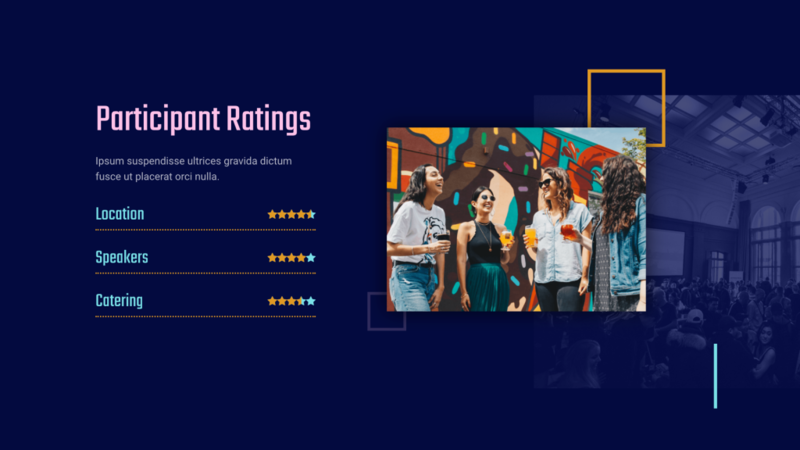 Ratings and reviews have become so fundamental to websites and the online digital world, and that’s why we decided to include it in our core plugin. You can add star ratings to different elements on the page, in order to increase social proof and trust among your visitors. For website creators wanting to make a lasting and convincing impression on visitors, this widget is a must. The Star Rating widget is built in accordance with Google Schema, optimizing it in terms of SEO, and increasing the chances that it will be included in Google’s rich snippets. Browse through the new Elementor homepage to see how we’ve incorporated it into various parts of our design. Even before this release, Elementor included similar tools like the Testimonial widget and Testimonial Carousel. While working on Elementor’s new site, our designers felt there was a need for a more advanced testimonial widget that provided stronger credibility through social media references and star ratings. The Reviews widget gives you way more options to design your review boxes and lets you incorporate star rating and social icons inside each review. You can choose to display a single review, or turn it into a review slider and showcase your business’s advocates and fans. Include different social icons, such as Twitter, Facebook and so on inside each review. This, in combination with linking to the original review on social media, turns this widget into a powerful tool to promote trust and credibility with your visitors (Note that this widget is built manually and does not draw reviews from feeds). Our designers put this widget to use throughout our own site pages, feel free to explore how we applied it. This widget is a great improvement in terms of SEO, especially for larger sites. Creating a dynamic hierarchical structure of links pointing to the different areas on your website helps Google’s spiders index your site. It’s also helpful in terms of accessibility, and can make navigating your site a smoother experience. It actually corresponds to the WCAG AA accessibility level, and you can read more about it here. 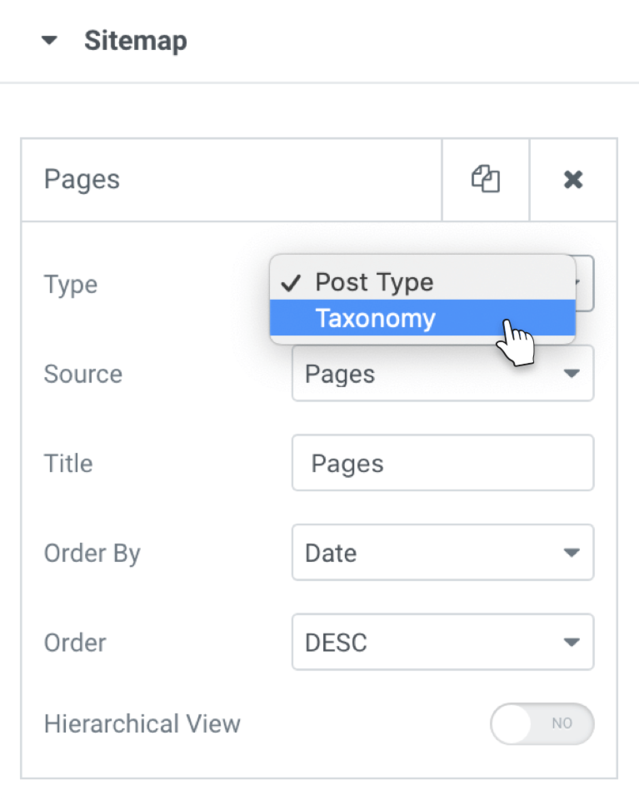 The sitemap structure is quite flexible, so you can determine which post type, category or other criteria is displayed. This widget should not be confused with XML sitemaps, produced by tools like Yoast SEO. While XML sitemaps are written for search engines, HTML sitemaps are written for humans. Read more about the difference in the Crazy Egg blog. Usability – Offer a better experience for users and help them navigate to key areas of your website. It also helps them figure out what your site is about. 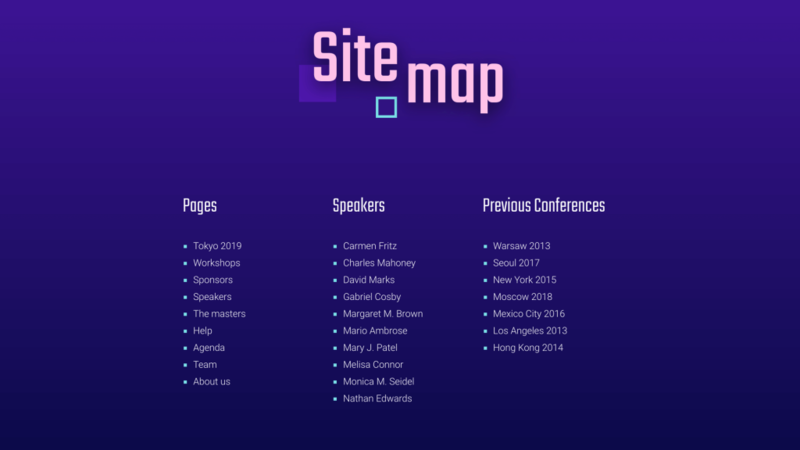 Navigation / Quick Access – When dealing with large scale sites, HTML sitemaps can help users see the trees through the forest and get easy access to your core content. Interlinking – We won’t go into depth here, but you can use these sitemaps to spread link equity through your site (Read more about it). Elementor is rapidly growing as the new web design standard in WordPress. Besides designers, marketers are another type of audience who have adopted Elementor as their go-to solution. These features expand our family of marketing solutions, offering a seamless, unified experience, sure to boost your growth. Stay tuned, as we keep adding valuable marketing functionality to Elementor Pro. Which marketing improvements would you like to see next? Please share in the comments below. We have a lot more where that came from! Join 584,568 subscribers who stay ahead of the pack. Yess!!! This will eliminate a few plugins for me! I love that the star ratings use schema. This is just great. Easy form tracking in GTM and Google Analytics! Some marketing feature suggestions would be split testing, or what about a chat-looking message popup. So that it looks similar to a chat bubble / notification. But the reply is really just a form or this is no reply field and it’s just a CTA button. Something like ActiveCampaign’s “Site Messages” or AutoPilot’s “In-app” messaging. Ex. 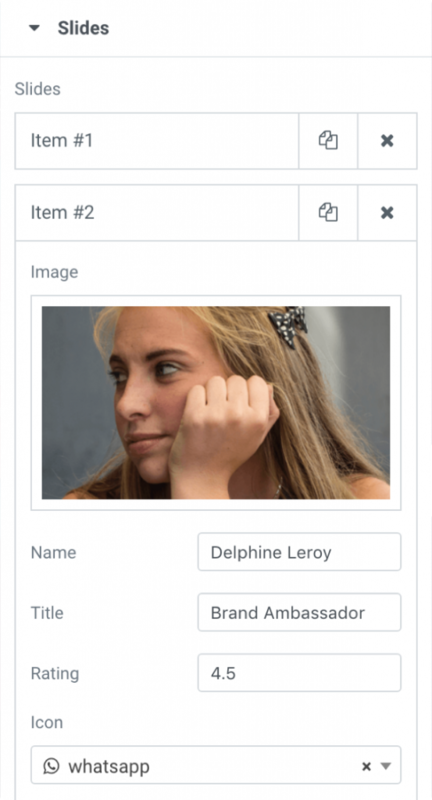 https://www.autopilothq.com/features/headsup You could build them as a template type and then enable across the site using the typical Elementor criteria for where it shows. Please make navigation / menu widget better and provide more options. I agree. Especially mobile styles and options. I would love to see meta tags and social media tags as part of the Elementor page settings. That would make this truly awesome!. The biggest issue with WordPress is the amount of plugins that have to be installed. Elementor has definitely lowered the number of required plugins but having seo and social metatags would be truly awsome. For integrations it would be good to have google tag manager and/or analytics. Good job Beny all the Elementor team! I would like to see how to connect with third parties, such as Infusionsoft (this brings me problems and you have not been able to solve it without going to third parties), as well as other email marketing companies, CRMs, etc. I would also like to see the day on which we can perform A / B tests from Elementor. Alomejor is a lot to ask. But the tool would gain more followers of digital marketing. A strong greeting and continue like this! cheer up! I believe that integration with other services, depends more on the “outside” than the Elementor itself. Hey, I already know that post, thanks! I’m answering the question Ben is asking. Do not you like my answer? It may not make sense to you. And Yes, Elementor could have already added compatibility with Infusionsoft, which has already been requested by other people for some time now. But they are not doing it. Equally good work team! I am in “testing mode” between Elementor and Thrive Architect. The thing that has drawn me more towards Thrive Themes is the way their A/B testing tool works. I know you can set up A/B testing in Google, but it is a hassle and goes against the philosophy of why I would use Elementor or a page builder in the first place. If you had an A/B testing tool, it would be awesome. Unbounce does a great job at A/B testing. They have a dynamic content Uptono that can be used to manipulate text and images based on certain criteria. Definitely something elementor could look at. This is amazing!!! Elementos change my life and my business too! Funnels – Bump Offers, Upsells, DownSells. Very good!! Looking forward for a simple SEO plugin…the existing plugins are too expensive. Continue with your good work! Check out SEO Press (not SEOPRessor). It’s like $40/yr for unlimited sites. Has everything you would need. The Best option is “The SEO Framework”. This is the only SEO plugin that is “Enterprise Grade” software. This is something that is unknown by the majority of wordpress users, and means that the plugin has already been rigorously battle tested and the code is extremely optimized for speed, reliability and security in order to deliver the upmost quality and effectiveness for even the most demanding websites(in terms of high traffic for example). I think you’ll be glad to know that Kaspersky and Qualys, two major security companies, use “The SEO Framework” on their Blogs. Do not be fooled by marketing campaigns that tell you that the more features the better, because it’s a big lie, you only need a few yet most important SEO features. Plugins like SEOPress, All in One, Rank Math, etc…, are heavily marketing the number of features. None of these extra features are tested well enough to stand negative SEO attacks, and users can and easily do break their sites. The most important requirements for a SEO plugin are Effectiveness, Reliability, Speed, Security and Code Quality, and “The SEO Framework” is the only SEO plugin available that fully meets this requirements, offering the most important SEO features with no bloat. Would love the ability for the countdown timer to restart upon expiration. This would be super helpful for recurring weekly events. It has been more than 2 years since it was reported, and still no resolution. Like it, there are several other requests (apparently simple), many with several requisitions and without even a milestone. Great thanks another useful addition ?? Looks great and just updated. But, I don’t see the Reviews or Sitemap widget? If you are an Amazon Affiliate, just be careful not to confuse your reveiw score symbols with Amazon’s as this is specifically called out in their terms and conditions as a big “no no”, and could get you banned, Just saying, that’s all. I can’t find the Sitemap widget !? Nice update! Could you please allow the stars to be used in templates with a link to dynamic data? Thanks. Try SEOPress! Nice looking interface, all the functionality and great price. Above comment is related to previous comment by Marie. What I’d like to see is the ability to build custom skins / blocks for Posts, Archive Posts widgets and other similar widgets with repeating blocks. Hm, having done this… yes. What Tim said. That said, I love Elementor more than anything else on the planet! I was testing the countdow and I see that two important things are missing. 1.- You can not put the singular of the labels. example: seconds / second. At least not for custom. 2.- It does not have padding to separate the labels of the digits. I am sorry Ben, but i can’t see the use of a review widget that needs to be filled manually. The ability to fill it through feeds from google reviews or facebook would make it worthwhile. Er… It’s for writing reviews. It’s actually going to come in really useful for me. If you’re in the content scraping business just go to Code Canyon and pay $10 you’ll find loads there. And the Custom Posts Loop Templator (it’s in the Top5 most commented issues there too). Thanks so much for an evergreen countdown timer – this will be super useful. Awesome, I’ve added some reviews and this will save me having to install yet another plugin! Would love to see a stockist map and an events calendar (that could sync with a google calendar). I have been working with some plugin but they look hideous! You guys at Elementor are a good looking bunch with style and an eye for design. I am sure you will come up with something aesthetically beautiful. I would suggest making core functionality more robust and useful rather than spending time on flashy new features while the MAIN thing is not where it should be. E.g. Global colors/fonts (like linked colors in brizzy). Precise responsive background positioning like in brizzy. Linked global templates with editable content. 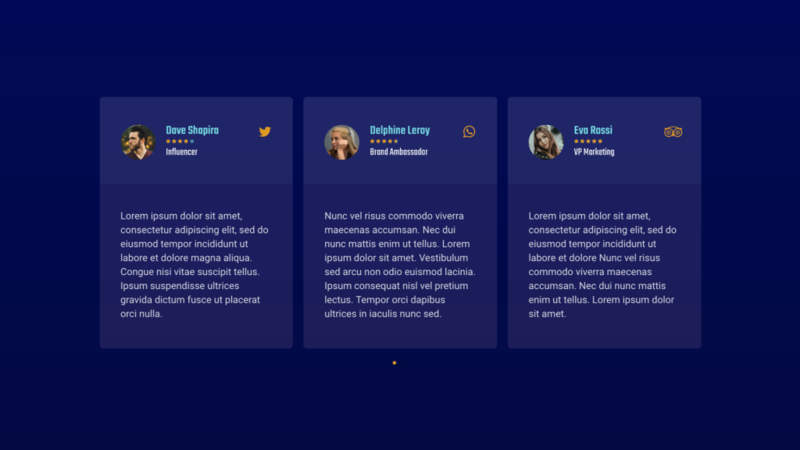 And more frequently-asked-for customization build into widgets without the need for the custom CSS. Keep the MAIN thing, the MAIN thing guys. Many SaaS and companies fail cause they just keep adding new features that are not that useful, product becomes bloated and competition will run laps on you cause they will have better core features. Ooh, yeha I’d love to replace our third-party “FAB” button with a site-wide one by Elementor. More control of Google Schema. Excuse me Ben, but what plugin? I am interested . Great job! How can i use this? It will be released on an Elementor update? Why I still didnt receive the update in pro ? Is it possible a text disappear automatically when countdown ends? Great builder and excellent features, any idea if the reviews widget will have capability for front end users to leave reviews in the near future? As far as I can tell, the current setup only allows the post author to set the review rating. Reviews widget is indeed for the author only, we don’t have plans to change it at the moment. Ben – Which plugin are you referring to here? Is there a plugin out there that specifically helps with linking Elementor marketing pages together in a funnel? Adding to the scarcity direction of your countdown timer: id like to see a products remaining countdown bar. My suppliers order in batches of 6, 9 or 12 and I would love to encourage action from visitors to act to complete that bar – purchases, social sharing functionality etc could be wonderful side effects of something like this!